Thanks to Johnny and the team at MSNBC.com for calling me for this assignment–it was a tough one, but there were a lot of good moments. I followed Shenna Bellows to Portland, Falmouth, Brunswick, and Kittery, Maine, as she campaigned at town Democratic caucuses for her US Senate campaign. Bellows is trying to unseat the incumbent Republican Susan Collins (whom, coincidentally, I met while photographing behind the scenes of Scott Brown’s Senate campaign). 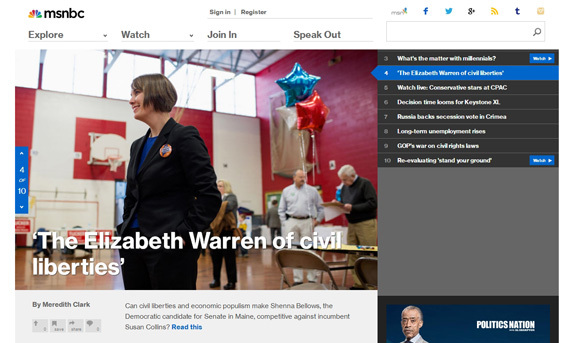 You can read Meredith Clark’s story on MSNBC.com, which includes a few of my pictures from the day: A Democratic Senate candidate makes waves in Maine.